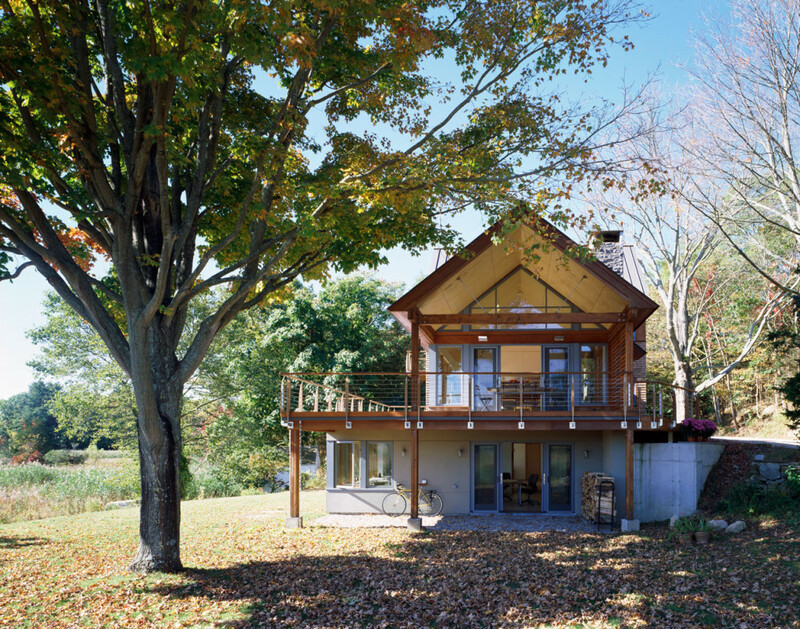 This 3500 sf house on the Connecticut River in Essex, CT has been awarded a LEED for Homes Gold certification by the US Green Building Council. 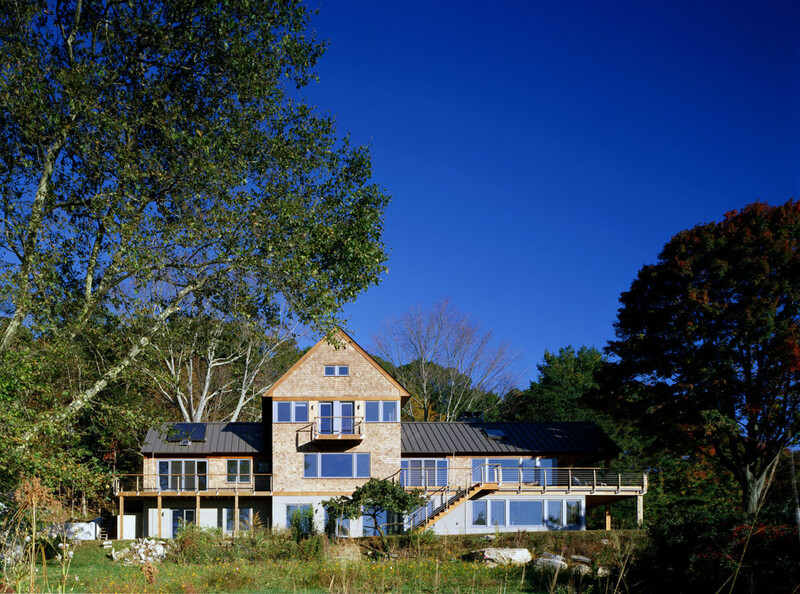 This structure incorporated many sustainable design principles including passive solar orientation and the primary HVAC systems are geothermal heating/air conditioning units. 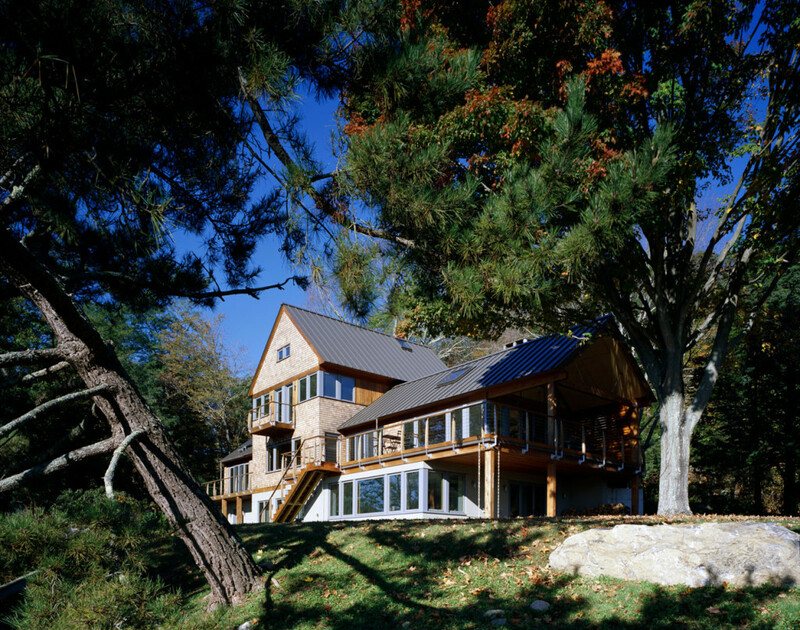 Solar panels provide hot water with the geothermal as back-up. 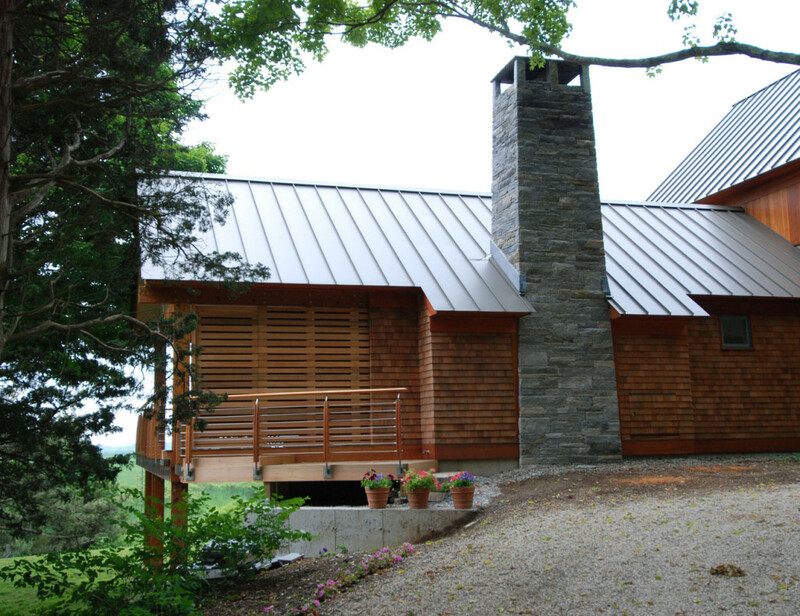 The house is pre-wired for future photovoltaic panels and is insulated with spray-in Icynene in all exterior walls and roof framing. 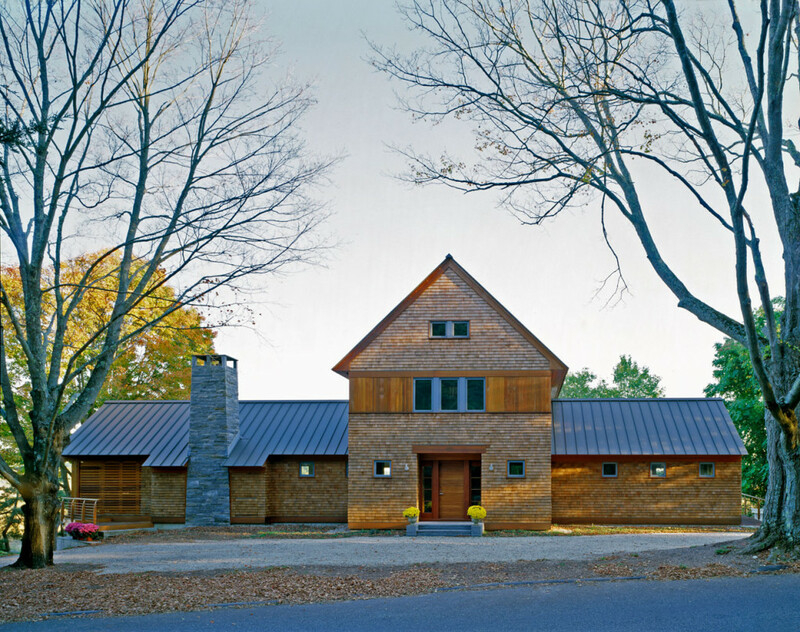 Given the proximity to the road, and the historical nature of many of the houses on the road, the street facing facade was treated like a barn with small punched windows and a metal roof reminiscent of a New England barn. 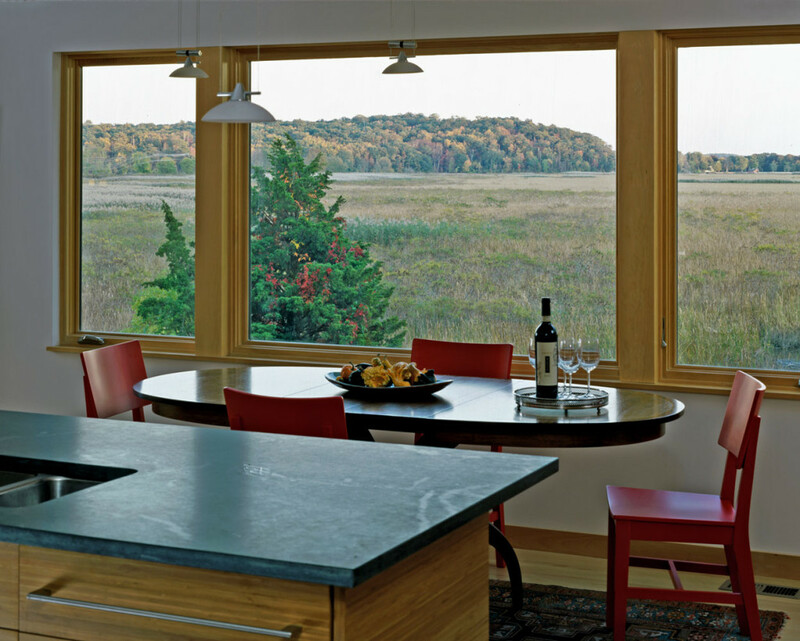 However, the rear side of the house opens up to the expansive views of the great meadow. 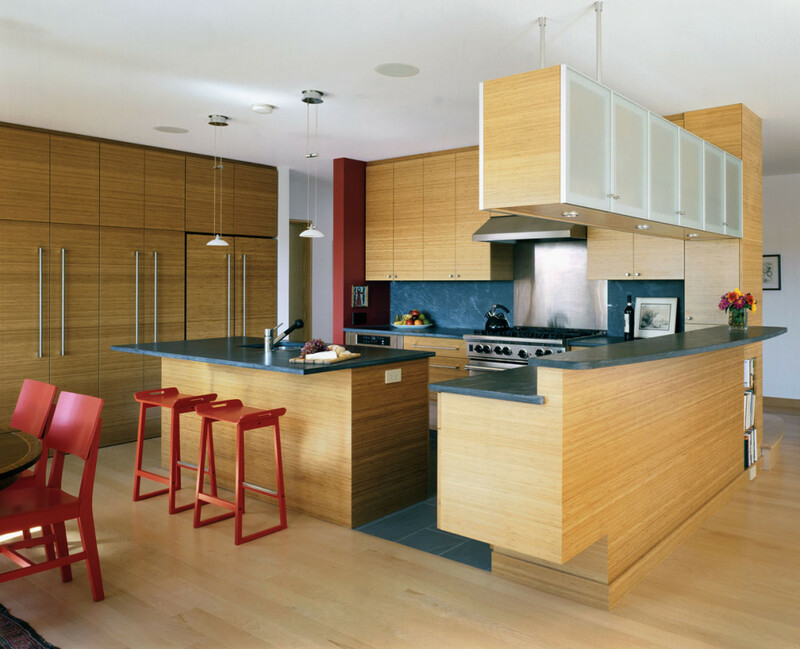 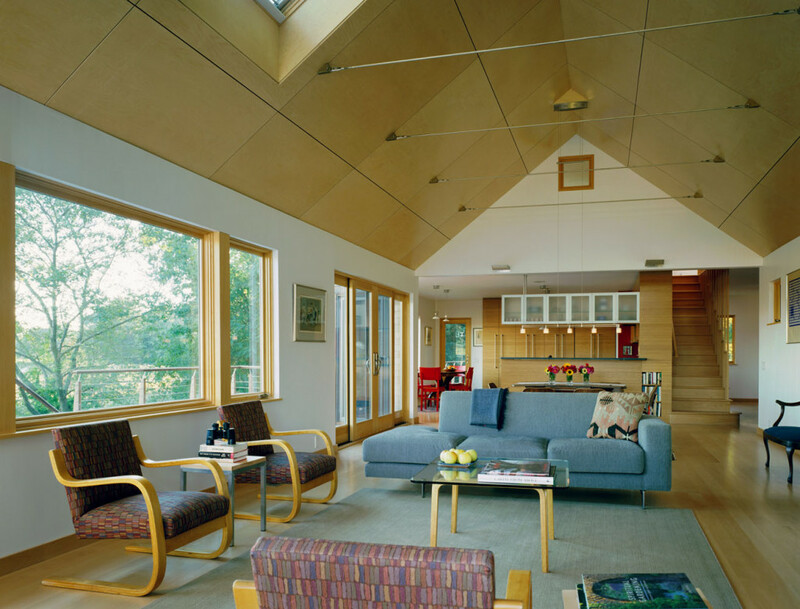 Interior spaces follow the simple barn forms with clean modern detailing.